The popular self-destructing photo-sharing service, Snapchat has rolled out its biggest update of its app so far by adding video chatting and instant messaging to it. 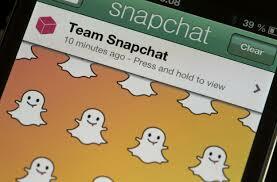 The app is quite popular among teens who like sending selfies and other photos to their friends. The fact that photos always self-destruct (delete) after 10 seconds has always been the biggest selling point of the app. It means that to view the sent photos the receiver always needs to be online. The new features will have no impact on the self-destructing concept and that it will be kept intact. “Until today, we felt that Snapchat was missing an important part of conversation: presence. There’s nothing like knowing you have the full attention of your friend while you’re chatting,” the company said in a blog post on Thursday. Apart from the new features, the new app has a new look as well. There will be new icons and buttons. To navigate through the app users will have to use swipes, which makes it look better. For instance, if you need to start any type of conversation with a friend, all you need to do is swipe to the right from the main camera screen which gives you a list of all your friends. Although texts get deleted once leave the chat screen but if in case you need you want you can make the app remember some. However, video chats by default are not stored anywhere. The updates will also allow users to send images stored in their smartphones as well. Earlier, the app only allowed uploading photos that were taken by the phone camera.